Welcome to the community of Big Canoe®, a gated and planned residential community, located in the North Georgia Mountains, where deer frolic, wild turkey scramble through lush forests, birds sing in this Audubon sanctuary and residents think they live in heaven. With accessibility to Atlanta an hour to the South, coupled with all the services and conveniences necessary for daily living, Big Canoe® offers an environment of natural beauty and a strong, friendly community to those fortunate enough to call this beautiful setting home. 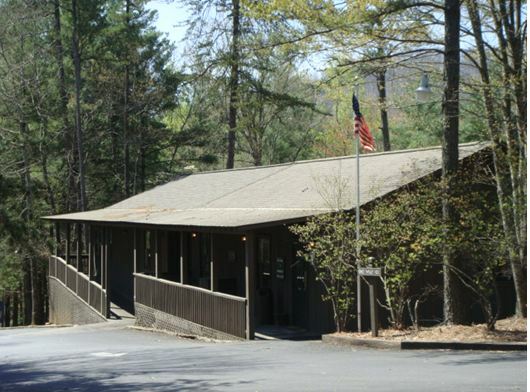 From its beginning in the early 1970's, the Community of Big Canoe® has emerged as the premiere community in the North Georgia Mountains. 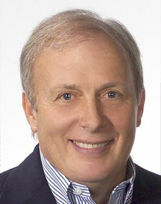 Conceived by visionary developer Tom Cousins. And begun as a weekend retreat for Atlanta families, Big Canoe today has nearly 5100 Property Owners and is home to over 2900 full time residents, including retirees, empty nesters, working professionals, and young families - all seeking the peace and serenity that the mountains provide. In addition, the Community of Big Canoe® is an escape to over a thousand second home and property owners from all parts of the United States and beyond. Encompassing over 7,500 acres, Big Canoe® is a North Georgia community nestled in the foothills of the Blue Ridge Mountains. Among its many beautiful features are seven soaring mountains, three sparkling lakes, numerous waterfalls, miles of hiking and biking trails, and abundant wildlife. This extraordinary lifestyle is located in Pickens and Dawson counties near the Appalachian Trail and Amicalola Falls. Big Canoe® is also near the Dawson National Forest, ensuring its pristine and natural surroundings. In addition, with elevations up to 3200 ft., Big Canoe® is a respite from the heat of the city.With 30% of the land set aside as natural habitat and recreational areas, Big Canoe® is a paradise for hikers, fisherman, boaters, birdwatchers and folk who just know how to relax (or want to know). For more information on Big Canoe Real Estate or North Georgia Mountain Homes, call the Camprini Team! 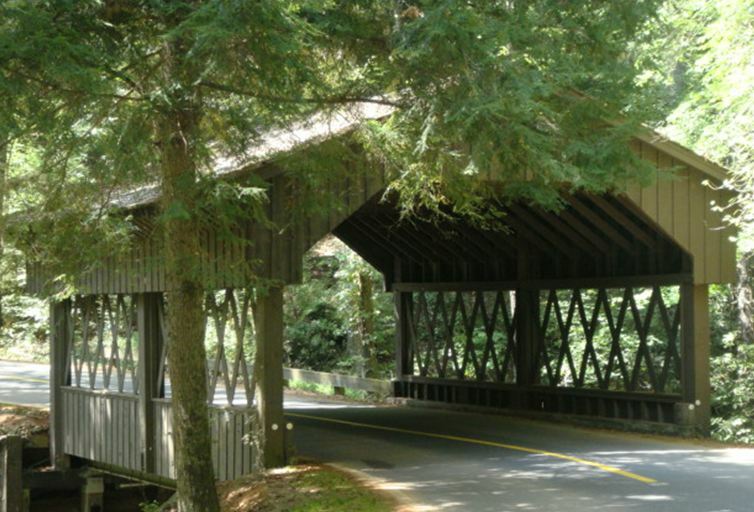 As you drive in the Main Gate of Big Canoe®, through a forest of hemlocks, mountain laurel, rhododendron and wild azalea, then through the covered bridge, you instantly are taken with the tranquility and beauty of this special place. Big Canoe's homes range from small rustic cabins, Condos and Villas, and charming cottages to multi-million dollar homes. Big Canoe is owned by its property owners, and is a fully staffed, gated community, run by the Big Canoe POA (Property Owners Association), governed by an elected Board of Directors, and run by the General Manger, and experienced staff. Big Canoe® residents and their guests enjoy panoramic views while dining on delicious food either in the new Clubhouse dining rooms or al fresco on the Sunset Veranda. The Club is also available for private parties and is the site of many memorable wedding receptions each year. Black Bear Pub - Enjoy laid back cuisine, beer on tap, wine and mixed drinks while watching your favorite sports on the big screens. The Pub is a popular dining spot for themed buffets many weekday evenings as well as full menu selections. Mountains Grill - a warmly inviting dining features a fabulous view over Lake Sconti and the mountains beyond. The perfect setting for any occasion. Sunset Veranda - Highly popular site to dine while enjoying a breathtaking view. Dine in the rustically beautful style of time honored hunt lodges. Watch your favorite team on the big screens or your fellow golfer sink a putt on the green below. In cooler weather, the warmth of the massive stone fireplace enhances the serenity of the room. Your family and guests will also enjoy the popular Friday evening live entertainment. Considered the heart of the community by its residents, The Big Canoe Chapel is a 360-seat non-denominational chapel, providing worship services on Sundays. The adjoining Broyles Center offers meeting rooms, a library, pottery room, and a large dining room with full-service kitchen. An outdoor amphitheater provides a beautiful natural setting for special events. The Chapel also maintains a Meditation Garden and Cemetery, set within the woodlands of Big Canoe®. The Big Canoe® Chapel supports over 70 programs and organizations here and around the world to help improve the human condition. The Chapel touches lives through 4 world wide organizations, missions and ministries in 8 countries, organizations in 5 U.S. States, and 14 Georgia cities. Children living and visiting Big Canoe are surrounded by both organized acitivities as well as all the fun that naturre allows. Big Canoe® has a large playfield with cinder jogging track and irrigated field for fun games of softball, touch football, kite flying, jogging, Frisbee throwing, or just lounging in the sun. This area is used extensively for community wide events such as Oktoberfest, and Easter Egg Hunts, 4th of July Fireworks, Halloween Trunk or Treat, Hook and Kid on Fishing and many other organized events. This all in addition to 2 outdoor pools, childrens pool, rock slide, basketball courts, miles of hiking trails, play fields, canoes, paddle boards, fishing and many other amenities. Canoe Cubs is a resource for activities inside and outside of Big Canoe. One of 3 large play equipment pieces at Big Canoe. Something for Everyone! 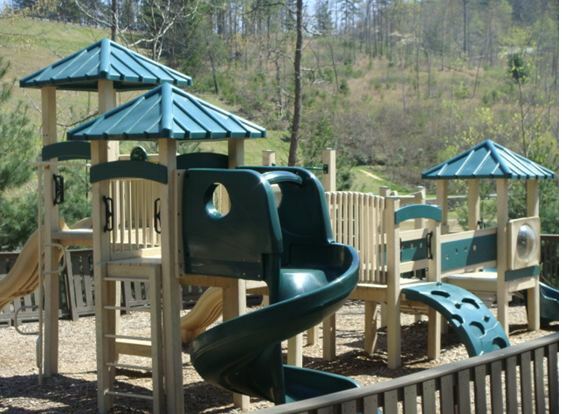 Big Canoe Residents are a diverse group and there is a club or activity for everyone. Below is a list of some of the multitude of Clubs open to all residents. It's a way to meet new friends and enjoy the fellowship and beauty of this special community. Big Canoe® Service Roads: All 80+ miles of roads are paved and utilities are underground to maintain the natural beauty of the community. Fire Dept: Big Canoe's award winning on site Fire Dept. is responsible for its enviable ISO 3 fire insurance rating. Our Firemen, EMS and public safety personnel provide fast emergency response throught the community. The surrounding counties provide back up as well, but we have highly trained responders 24/7. Utilities:Contact the following private companies for your utility setups. Cable TV, Satellite TV & High Speed Internet Access - Windstream 800/251-6412 both counties. Electrical - Amicalola EMC 706/253-5200 both counties. Garbage - There is no charge to drop off your garbage at the Trash/Recycling Center at the North Gate. The Pickens County Recycle Center is located on Cove Road off of Steve Tate Hwy. Telephone - Dawson County residents call Windstream at 800/251-6412; Pickens County residents call TDS 888/837-4002. Water - Big Canoe Utilities 706/268-3400 both counties. Big Canoe®Post Office - US Mail and inter-community mail delivery is made to the Big Canoe Post Office. Both Fedex and UPS service Big Canoe. 24-hour ATM bankingis located there as well. POA Fees - All property owners pay a monthly Property Owner's fee to pay for community services such as maintenance of the common areas, 24 hour gated security, road maintenance, fire and rescue personnel and equipment and staff salaries. Unimproved lots (without a home) fee is $169/month. Improved lots (with home) fee is $261/month.